The small but efficient cellar is equipped with temperature controlled stainless steel vats. After harvest, the grapes are gently pressed. Maceration lasts for approximately two weeks. Fermentation then takes place at 26-28°C. The wine is then aged for 10 months in 225 litre barriques (33% new) before bottling in January 2016. Although 2014 was a challenging harvest in most of Italy, conditions were exceptional in Sicily. The average winter temperature and rainfall were slightly higher than average until the middle of March, which led to an earlier bud break. During the summer months there was no excessive heat and the absence of strong sirocco winds resulted in healthy grapes with optimum ripeness. 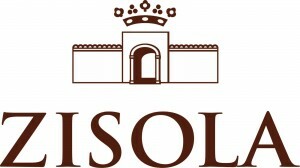 Zisola’s vineyard manager reported that the Nero d’Avola grapes had high anthocyanin concentration, excellent acidity and a balanced sugar content. Delicious with spicy fish stew, savoury pasta and rice dishes, grilled red meats and roasted vegetables.